Although sleep apnea on its own is not deadly, it is the sleep apnea complications that develop will. These complications have taken its toll on the quality of our lives, and have taken the lives of many. This is why early detecting and immediate getting treatment is essential. 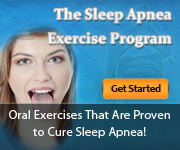 It has been common practice for most people to take their sleep apnea for granted. The result will have devastating effects on their health and safety and the people around them. If you think this sleeping condition should be taken lightly, you are dead wrong. There are a number of sleep apnea complications you should know about. These complications can very well be the reason for your demise. Sleep deprivation is considered a norm in many developed countries. The high priority put in work and careers has made us overlook the need to sleep. Due to this, we pay the price. Sleep deprivation has cost billions of dollars in low work performance and productivity. It is also the cause for billions of dollars lost in accidents. Because driving with the sleep disorder is just as bad as driving under the influence, many lives have been lost. People who have suffer or die from strokes, also suffer from the sleep disorder. In most cases, the disorder is undiagnosed, and the result is an acute cerebrovascular attack. The disorder restricts the body of oxygen, which is needed in the production of blood. The result is an insufficient blood supply to the brain, which will have catastrophic results. GERD or gastroesophogeal reflux disease is the damage of the esophagus, due to abnormal reflux of mucus. The individual suffering from this disease has trouble swallowing, heartburn, and vomiting. People who suffer from the sleep disorder are more prone to GERD. In addition, GERD will worsen the sleeping disorders symptoms. Hypertension is the elevation of blood pressure or high blood pressure. Hypertension raises the risk of other heart diseases, which is one of the main causes of death around the world. It has been documented that 50% of people who have hypertension also have the sleeping condition. In other words, the sleeping disorder raises the risks of hypertension, due the strain it causes to the heart. Sleep apnea deprives the body of vital oxygen. Less oxygen strains the function of the heart; opening the doors to heart failure. It is well documented that people with the sleep disorder suffer from heart failure in the future. If you think your sleep apnea will not kill you, think again. Many have thought the same, and many have paid the price.